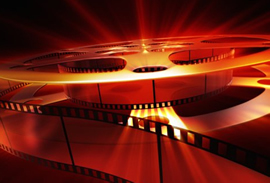 Sligo cinema listings with daily movie schedule and links to book online. We have most reliable film times for Sligo. The The Model has 1 screens available showing some top movies. Current films include Delirious Rhythm 1936-2017. The Omniplex - Sligo has 12 screens available showing some top movies. Current films include Dumbo, Head Full of Honey, The Goonies, Little, Peppa Pig: Festival of Fun, Shazam!, Five Feet Apart.